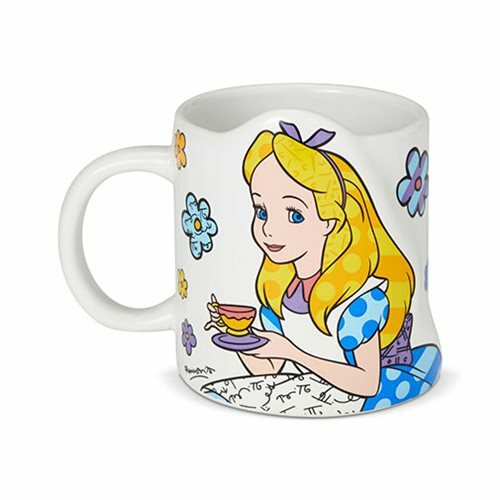 Host a mad tea party of your own with this lovely Disney Alice in Wonderland Alice Mug by Romero Britto! Set in a floral pattern, she sips tea while wearing her classic look updated with polka dots. This wonderful mug makes the perfect gift to wish your loved ones a very merry unbirthday! Measures about 4 1/2-inches long x 3 3/4-inches tall x 3 1/8-inches wide.